SBFIC – Campaign for Regional Community Public Banks in Ireland — Banking in the Public Interest! The PBA, founded by the Public Banking Forum of Ireland in 2016. Campaign for Regional Community Public Banks in Ireland — Banking in the Public Interest! The PBA, founded by the Public Banking Forum of Ireland in 2016. We have to; * End the continuous bleed of 40% of the profits of the economy. * End the Private Commercial Bank Control over the credit money supply of the country and thereby their control of the economy. * Create safety for Deposits – by introducing a Regional Public Banking System to Ireland, thus reducing the Commercial Banks’ 95% Monopoly. A not-for-profit Foundation setup by the German Sparkassen Public Savings Bank Group. The Public Banking Forum of Ireland (PBFI) has been working with the SBFIC for almost two years now on the proposal for a Regional Public Banking System for Ireland. See related ‘Concept Document’ below. information. Over the last 200 years, German Sparkassen have developed into one of the largest financial groups worldwide, successfully combining a high degree of professionalism with a strong social mandate. The mission of the Sparkassenstiftung für internationale Kooperation (Savings Banks Foundation for International Cooperation – SBFIC) is to make the German Sparkassen experience accessible to similar financial institutions in other developing and transition countries. To this end, the Sparkassenstiftung provides state-of-the-art training and services to its partner institutions around the globe. In 1992, Germany’s Sparkassen-Finanzgruppe established the Sparkassenstiftung für internationale Kooperation (Savings Banks Foundation for International Cooperation – SBFIC). Since that time, the Sparkassenstiftung is actively supporting financial institutions, promoting a sustainable economic and social development at a local, regional or national level by offering banking services that are tailored to the needs of the target groups. The Sparkassenstiftung aims to enhance the professional capacity of its partner institutions, empowering them to offer their customers a permanent access to financial services. In particular small and medium-sized enterprises (SME), but also poor population strata and social fringe groups belong to the target groups of the Sparkassenstiftung’s partner institutions. Focusing business operations on the SME sector and small-income earners actually benefits the partner institutions themselves: serving small businesses and private clients allows to generate stable and sufficient profits on a sustainable basis. By strengthening regional and local financial structures, the Sparkassenstiftung not only helps to improve development options for broad segments of the population and local companies, but ultimately helps to generate jobs and income. This mirrors the approach and objectives pursued by the German Sparkassen and exerts a stabilising effect on the financial sector concerned and thus on the overall economic development of the respective country. 200 years of history of German Sparkassen have proven that sustainable microfinance is only possible if based on efficient organisation and professionalism – these are the central factors of success the Sparkassenstiftung imparts to its partners. Managing Director of the Sparkassenstiftung für internationale Kooperation (Savings Banks Foundation for International Cooperation, SBFIC) in Bonn, Germany. Dr. Jürgen Engel – Savings Bank System. May 2014 – Dr. Jürgen Engel of the Savings Banks Foundation for International Cooperation (SBFIC) Visits Ireland on Fact Finding mission. 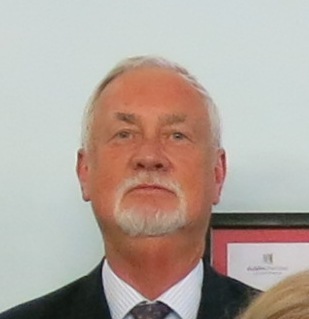 Dr. Jürgen Engel studied economics in Germany and in Switzerland. He holds a PhD from Basle University, Switzerland, were he lectured in international and monetary economics. He gained more than 30 years of banking experience focusing on capital markets, credit and risk management issues. During his career he worked for WestLB, Chemical Bank and Chase Bank in Düsseldorf, Brussels, London and NewYork. About 15 years ago he became independent banking advisor. Since then Jürgen has been coaching and training a number of financial institutions in the CEE and CIS regions. He is a frequent lecturer at international seminars and assisted the Savings Banks Foundation for International Cooperation (SBFIC) in various assignments supporting local banking sectors and the development of emerging financial markets and countries in transition. At present Dr. Engel is acting as project manager on behalf of SBFIC developing a project to support and build a locally diversified banking system for Greece. The Concept Document for Ireland’s Local Public System. The DSGV-SBFIC Produced a Concept Document for a new Local Public Banking System tailored to the needs of the Irish economy and people. The “German Savings Banks Association” (DSGV) and its not-for-profit consulting arm, the “Savings Banks Foundation for International Cooperation” (SBFIC), have been invited to develop a proposal to establish a new Local Public Banking System tailored to the needs of the Irish economy and people. In 2014 representatives of SBFIC met with the “Public Banking Forum of Ireland” (PBFI). 1 Various meetings with government representatives, politicians and Irish business associations followed and a feasibility study was carried out by SBFIC mid 2014. The present document sketches a proposal to establish a Local Public Banking System which will help to fill supply gaps, which apparently limit the access to financial services in Ireland. An improved access to finance will be vital for a continuous economic recovery and development – especially for the local Irish SME sector and the local population. I am very supportive of Public Banking and am happy to support the Alliance. Very Best Wishes, Tommy Broughan T.D. PBA – PUBLIC STATEMENT 23/2/2016 – PUBLIC STATEMENT 23/2/2016 – It’s time for Banking in the Public Interest. Copyright © 2019 Campaign for Regional Community Public Banks in Ireland — Banking in the Public Interest! The PBA, founded by the Public Banking Forum of Ireland in 2016.. Powered by WordPress. Theme: Spacious by ThemeGrill.